A greetings card comprises a face panel and a back panel hinged together. 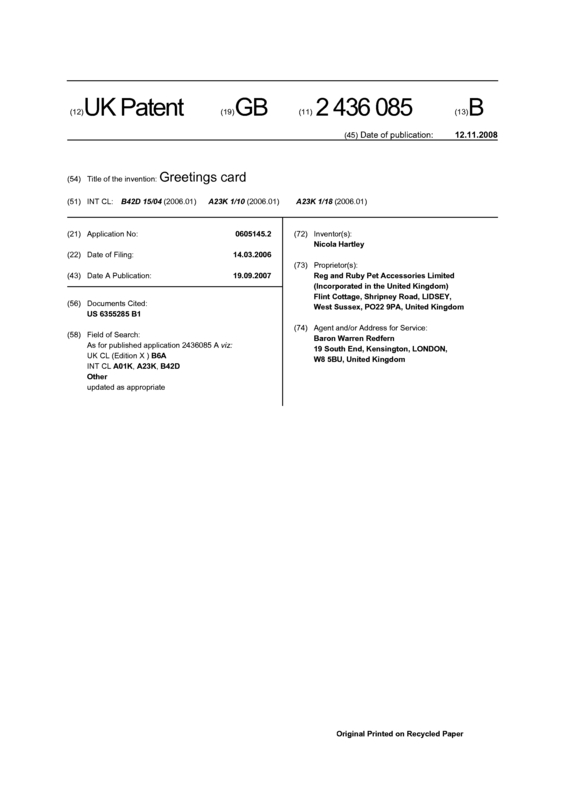 The greetings card is constructed from a material adapted to be consumed by a non-human animal. In particular, the card is intended as an edible greetings card for canines. In this case the front and rear panels and the strip 8 are made of rawhide. The front panel may carry edible indicia or decoration. The rear panel can have 4 slots for holding a piece of paper or card. Page created at 2019-04-26 6:14:58, Patent Auction Time.